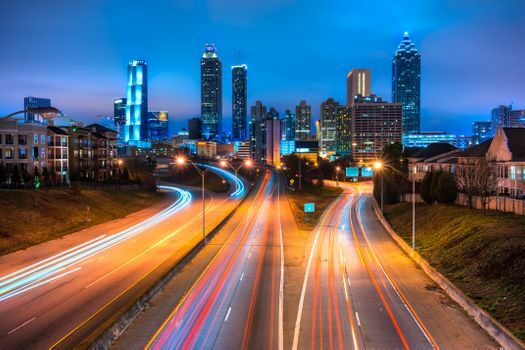 Atlanta is a booming metropolis offering big city life coupled with Southern charm. Top-shelf restaurants, symphonies and ballets, tourist attractions and shopping are here. You’ll also find some romantic getaways near Atlanta to celebrate an engagement, anniversary or just some time alone together. You don’t have to go far. Just an hour’s drive outside of Atlanta, Chateau Elan is an exquisite resort with a winery, restaurants, luxurious spa and golf course. Get a couple’s massage, have a romantic dinner by candlelight, sip wine and hit the links all in one weekend. 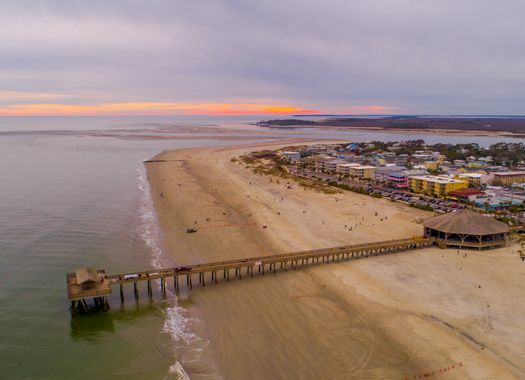 Slip over to Tybee Island for a little beach time. The island is brimming with sandy beaches, fine and casual dining, plus a flat landscape ideal for romantic walks. A signature lighthouse is visible from most spots on the island, and if you’re lucky you might see a loggerhead turtle on the beach. Watch the sunset over the ocean to end your Tybee day. Nothing screams romance like an elegant waterfall. There’s a surrounding park where you can hike, picnic and take some photos at Noccalula Falls. 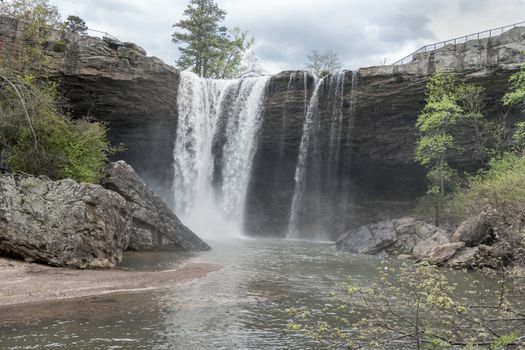 The park and falls are located in Gadsden, Alabama only about two hours away from Atlanta. Set in the North Carolina mountains, Lake Lure stretches across 720 acres with 21 miles of shoreline nestled in Hickory Nut Gorge. There are nearby attractions, including Chimney Rock, but the romance of Lake Lure might keep you there for the weekend. This Atlanta getaway offers fresh mountain air, panoramic mountain views and the serenity of the lake. 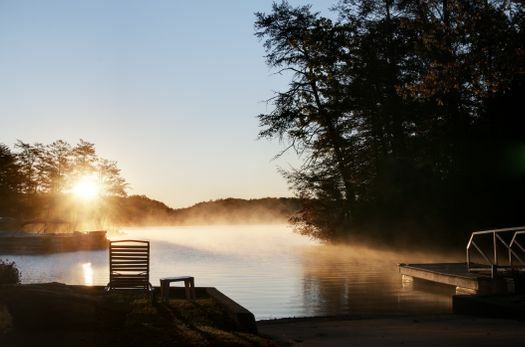 Saluda, N.C. is a hidden gem where your pace slows a little, so you have time to focus on each other. Couples stroll through the downtown area with an old hardware store, art galleries, gift shops and quaint restaurants. A railroad track runs through the town, adding to the character of this mountain town. Hike, go rafting, listen to music or ride bikes together. 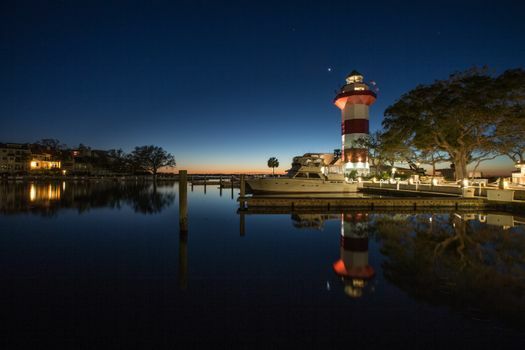 Cross the state line into South Carolina for a romantic weekend at Hilton Head Island. Rent a home on the island and you’ll find waterfront restaurants with fresh seafood and vista views. Golfers can play any of the 33 courses, and tennis players can hit the courts on the island. There’s art and culture, but the 12 miles of beach is the biggest draw. 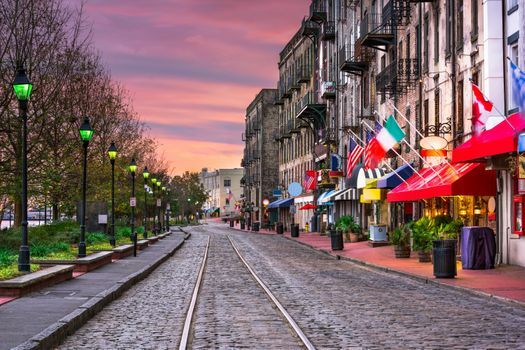 Savannah is a city packed with history, mystery and romantic appeal. Couples can walk along the river and watch the sunset. Pop into one of the pubs, like Abe’s on Lincoln, for a libation or two. Several rooftop bars, like Rocks on Roofs at Cotton Sail Hotel, offer cocktails overlooking the city. Tons of restaurants, including the well-known Pink House, make this a foodie town where couples can indulge. Lookout Mountain, Tennessee is less than two hours from Atlanta. With a name like that you know you’ll see some picturesque landscapes and mountain views. 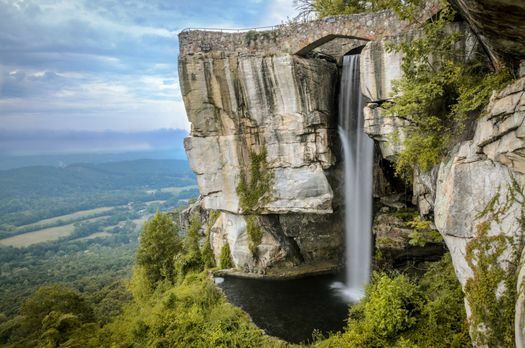 Tour the caverns, try a zip-line adventure and go see Ruby Falls, the biggest underground waterfall in the U.S.
Travel two hours from Atlanta to Greenville, South Carolina, which is at the base of the Blue Ridge Mountains. Picnic in a park that has a trickling waterfall, and then dine in a fancy restaurant or hike a trail. 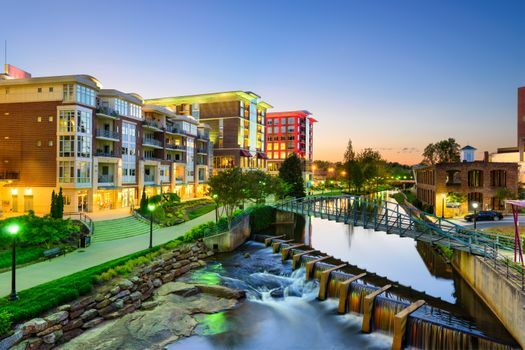 Greenville is loaded with personality and hospitality. 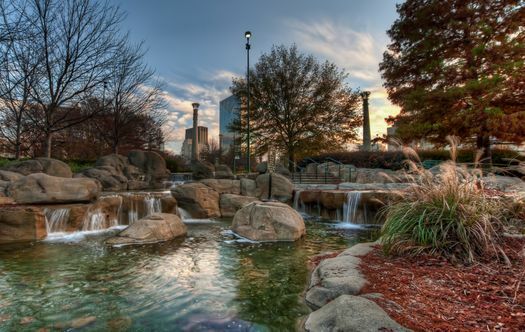 Romantic getaways in Atlanta can be as big or as intimate as you make it. It has spas for pampering, award-winning restaurants, a bustling downtown and lots of attractions to fill your time. Have a picnic in Centennial Park. Try a Georgia wine tour one of the afternoons. Tastes the wines, raise a toast to your partner and celebrate your weekend retreat.